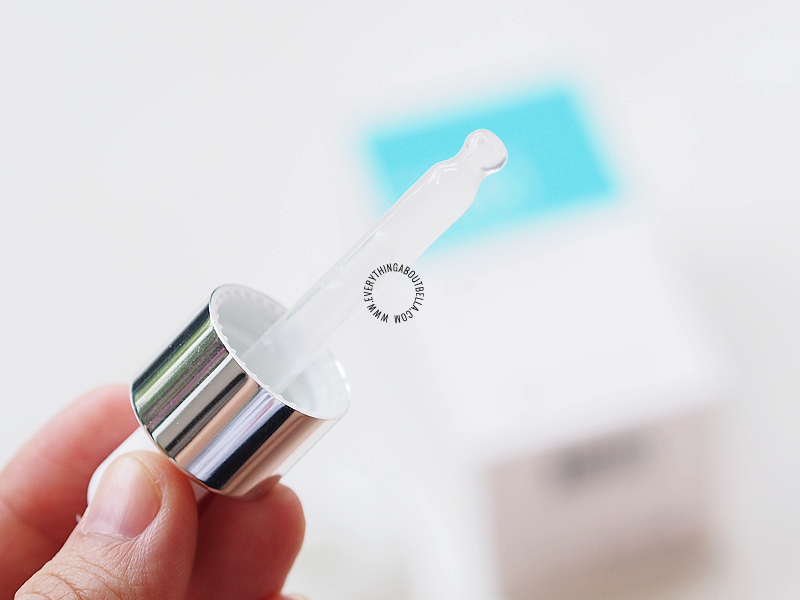 The serum comes in a white glass container with a dropper to dispense the product. Though not travel friendly, I am loving the dropper as it makes it really easy to control the amount each time. Nothing much to say about the packaging, it is just simple and effective. It would have been a lot better if they have had written the ingredient list in English too, but not really a problem for me. The consistency is really light. 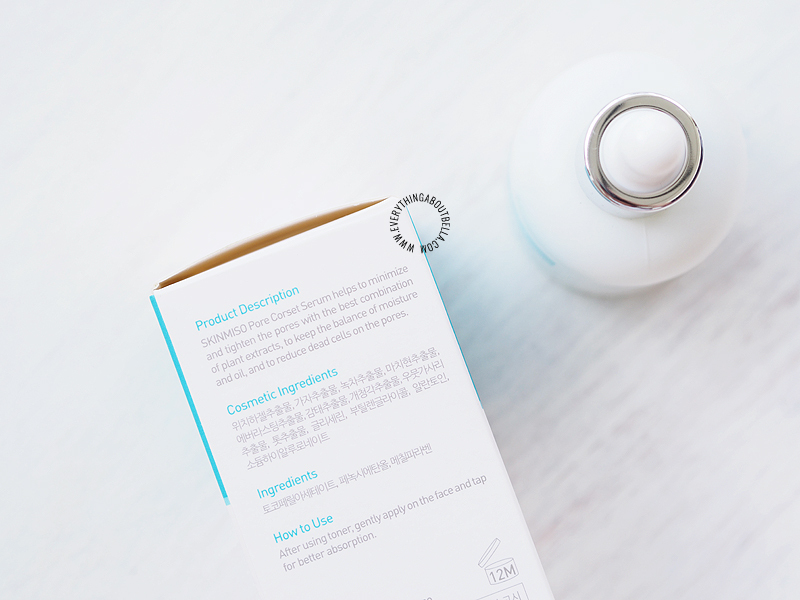 It absorbs within seconds after applying, and it hydrates the skin just enough without leaving any sticky feeling afterwards. I am loving the mild scent as well. It's supposed to also regulate sebum, the cause of oiliness and skin troubles. 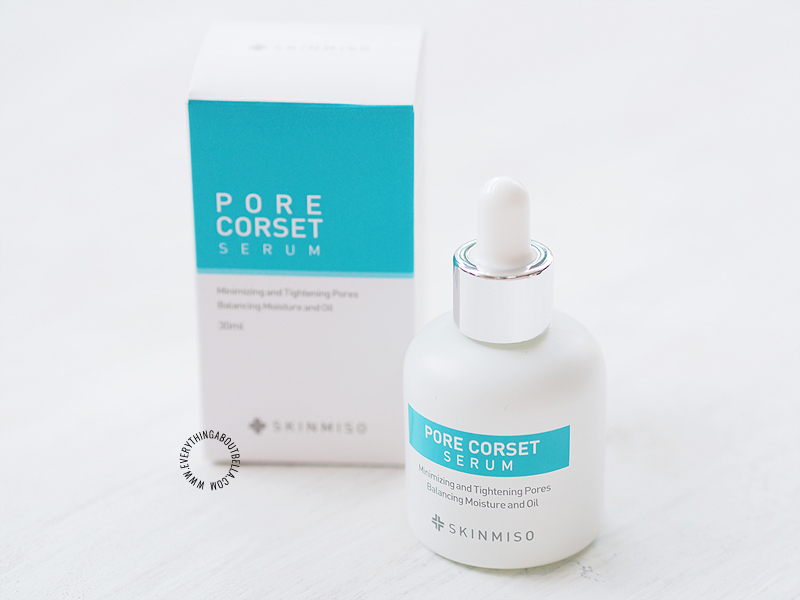 I can't really say much about the sebum control but I am really loving this serum for its hydrating properties. It moisturizes my skin really well that it feels super smooth and plump after each usage. My cheeks feel amazing whenever I use this. Isn't this amazing? It's actually not that prominent in real life, yet, but from the picture above, I am really convinced to keep using this to see how far it can reduce my pores size. 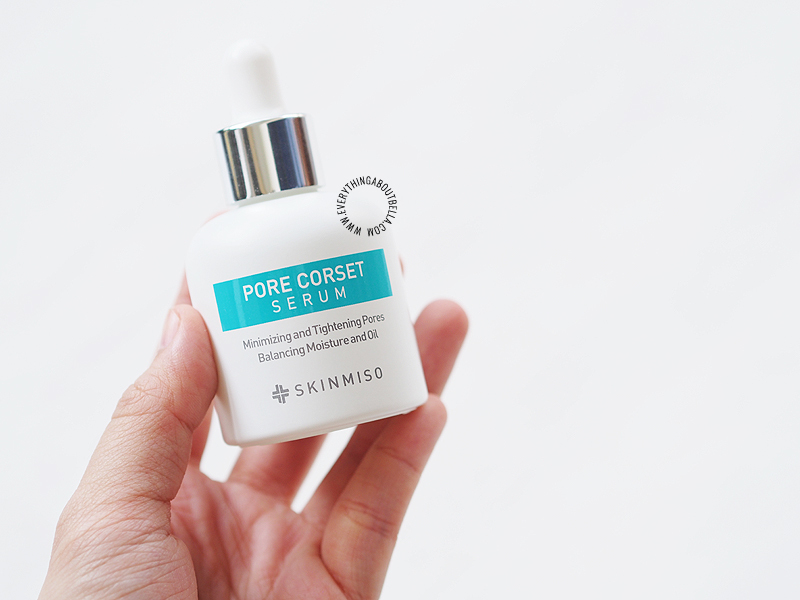 If you are looking for something that really works to reduce pore size, I say you should give this a try. It's amazing and you really shouldn't miss this out. In the meantime, I will keep using this, and update this post again, when I can, if I see significant change after continuous use. Register HERE & use my code "065336804" to receive an immediate $5 coupon upon registration!